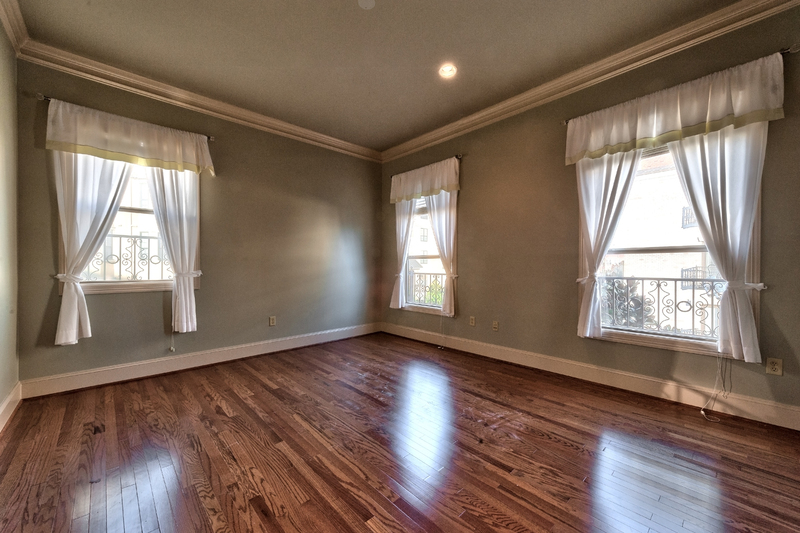 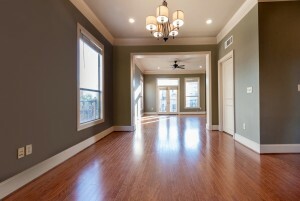 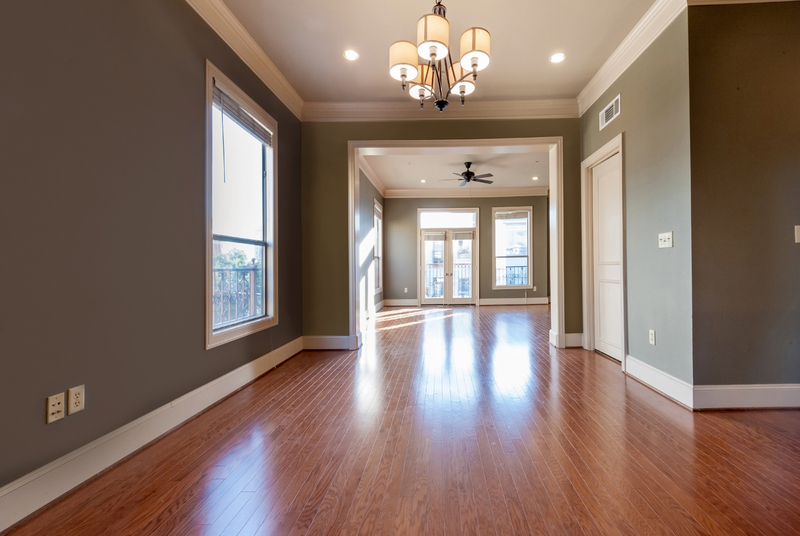 Two bedroom, two and one half bath residence at the Manor at State Thomas. Semi-private elevator takes you to your sophisticated condo. 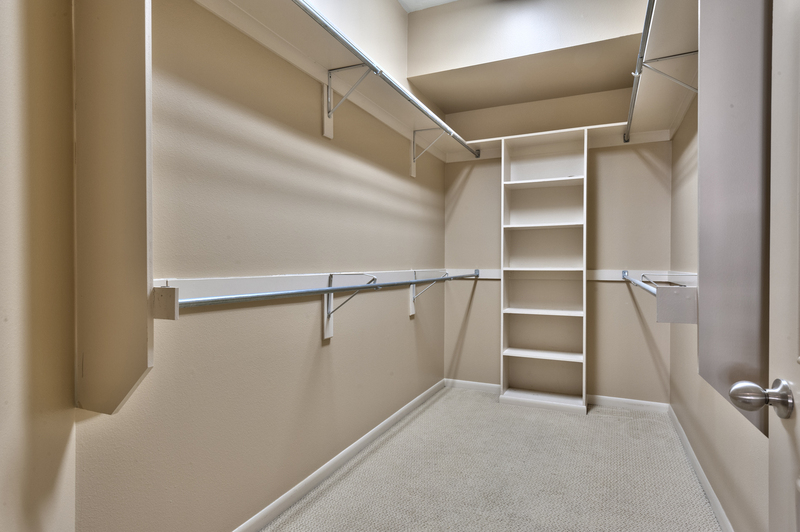 Corner unit has beautiful finishes including hardwood floors, granite counters, and 10 foot ceilings. 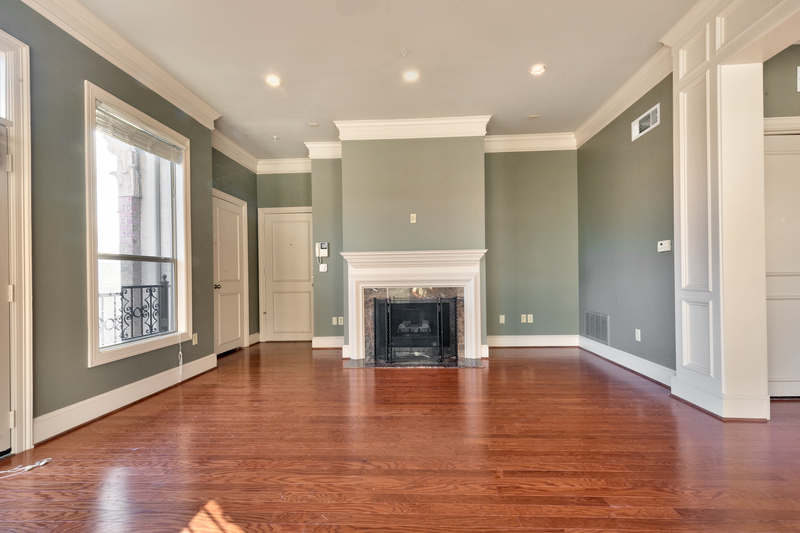 The main living areas feature an open floorplan with triple crown molding, French doors out to a Juliette balcony and a fireplace. 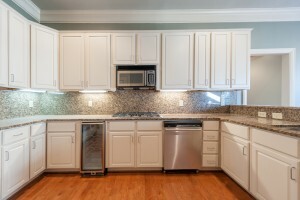 The kitchen has stainless steel appliances, granite counters, wine refrigerator and a breakfast bar. 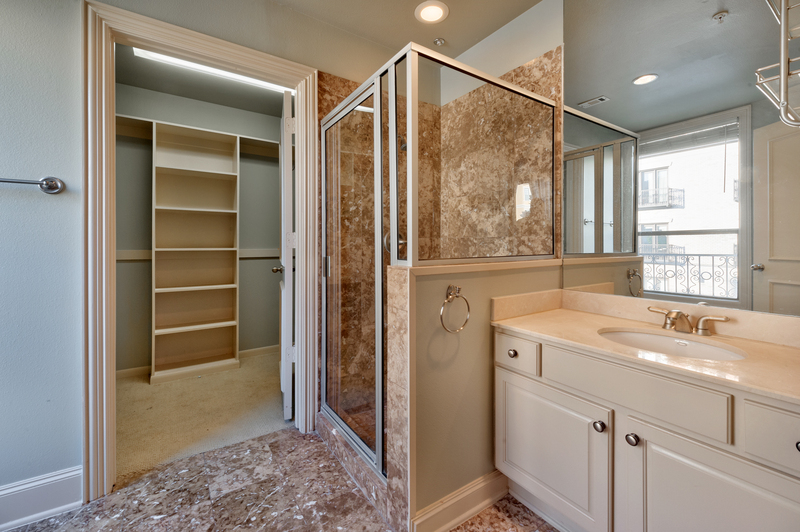 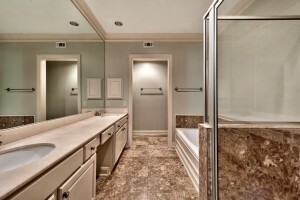 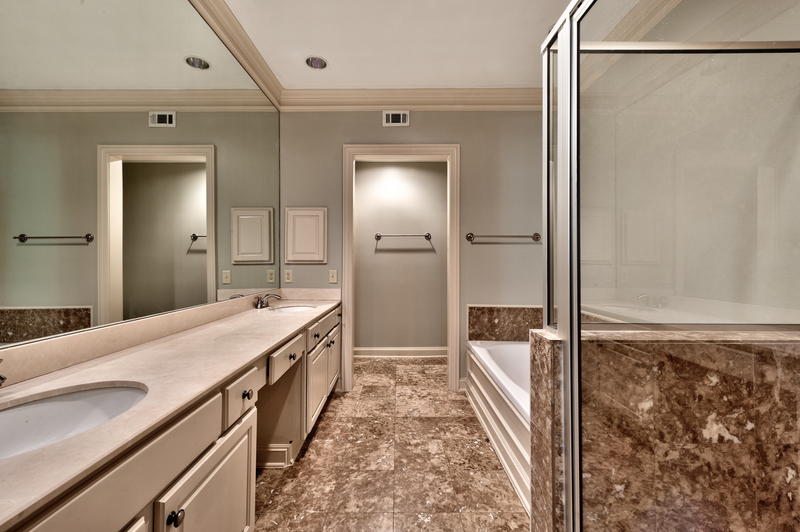 The master bedroom has a luxurious bath with separate marble shower, jetted tub ,double sinks and a huge walk-in closet. 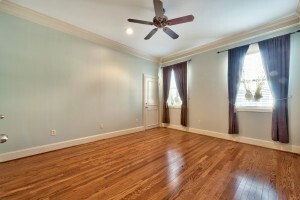 The second bedroom is spacious and has its own private bath. Since residence is a corner unit there is an abundance of natural light from the oversized windows. 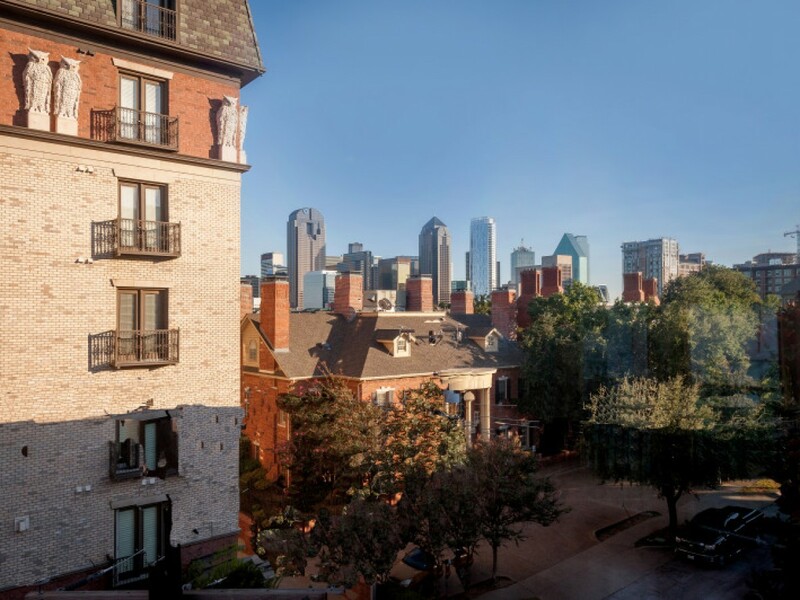 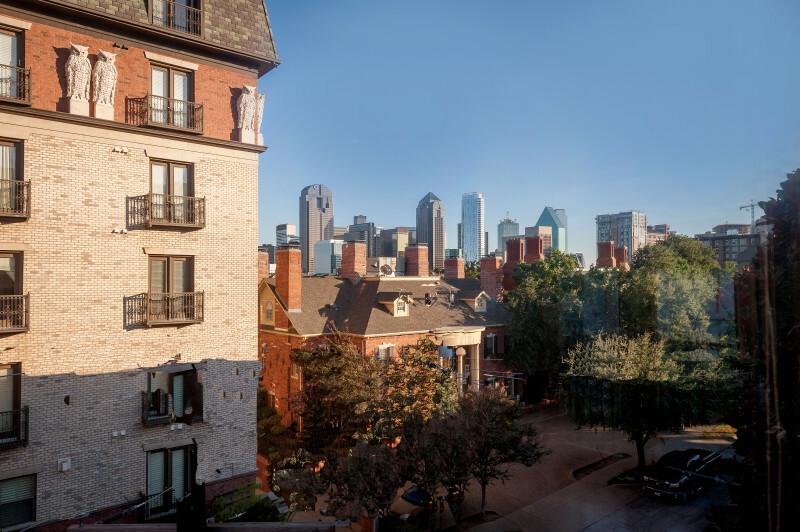 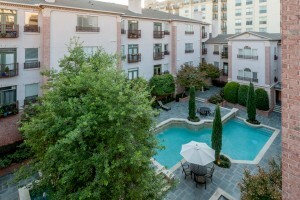 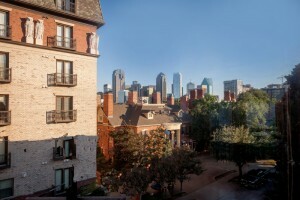 Residence has magnificent downtown views and two car assigned parking spaces.